As the popularity and availability of electric vehicles (EV) continues to grow in the U.S., consumers are zeroing in on how they want to use an EV. 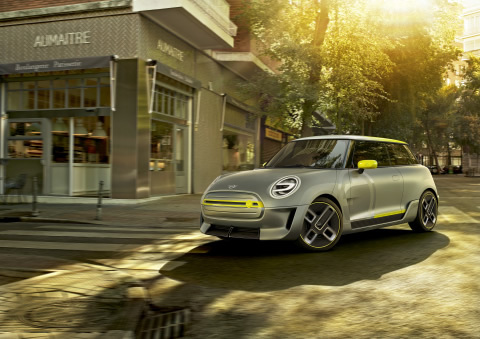 63 percent of consumers said the best way to use an EV is for commuting or city driving, according to a new survey MINI USA recently commissioned from market research and business intelligence firm Engine International, Inc. At the same time, 73 percent of consumer surveyed said that battery range of up to 75 miles was sufficient for their daily use. MINI is an independent brand of the BMW Group. In the United States, MINI USA operates as a business unit of BMW of North America, LLC, located in Woodcliff Lake, New Jersey and includes the marketing and sales organizations for the MINI brand. The MINI USA sales organization is represented in the U.S. through a network of 125 MINI passenger car dealers in 39 states. MINI USA began selling vehicles in the U.S. in 2002 with the introduction of the MINI Cooper and MINI Cooper S Hardtops. Since then, the MINI Brand in the U.S. has grown to encompass a model range of five unique vehicles.